I don't even know what this is but it kind of reminds me of a Pokemon I saw on the internet a couple months back. Since I'm not a Pokemon trainer of any sort I don't know which one so don't go asking me. 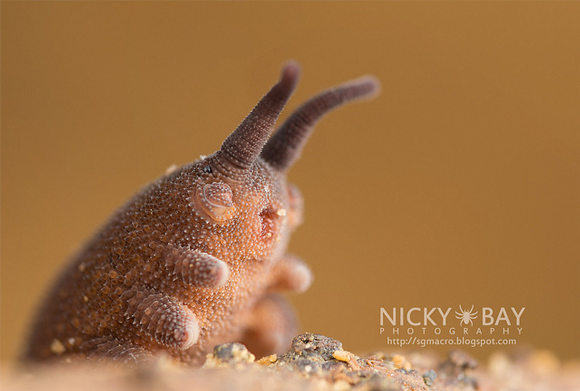 Since I had time to read the text on Nicky Bay's site I learned that this is a Velvet Worm. That's all I got from there and the word fat associated with this. I'm thinking it's got it's eyes closed and luckily they are because I'm pretty sure it'll freak us out when he opens them. 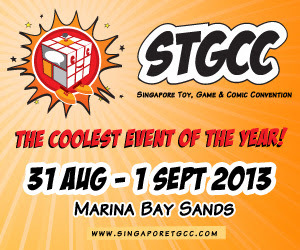 Anyways, there's a lot more freaky crawlers on Nicky Bay's site so go ahead and check out the critters he found when he traveled over to Singapore. No, his eyes are open. They're tiny little black dots just behind his long feeler things. The other things on his face are glue shooters.